This photo shows a prayer blanket. Members of our church hand-made it for a man whose son is battling cancer. Before being delivered this blanket went to church services at FUMCR. People there prayed for the man and his family, and then each of them tied a knot in the fringe of the blanket. Prayer blankets and the knots in their fringes help make our prayers for others very tangible. Prayer blankets began as part of our sanctuary worship services, and now they're coming to Access. You can read more about the prayer blanket ministry, how to request one, and ways you can support the ministry at www.fumcr.com/blanket. 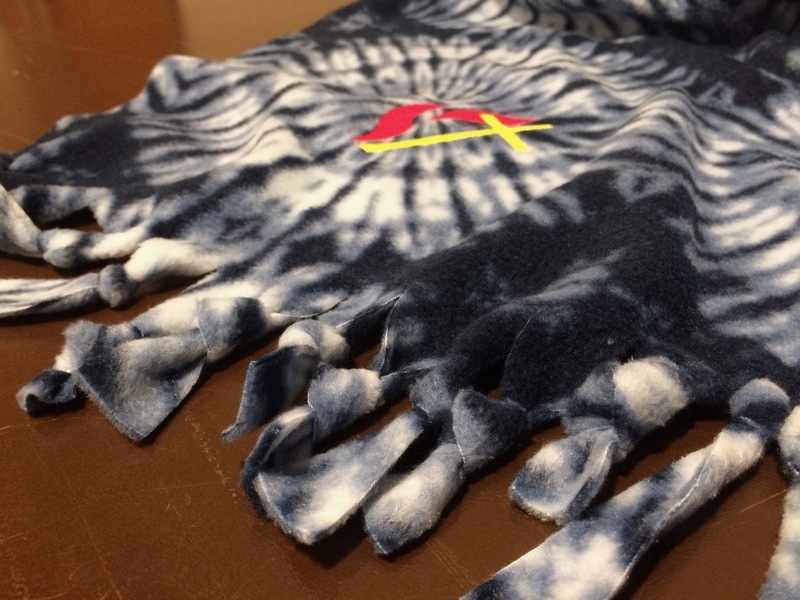 When you request a blanket, members of the prayer blanket team will bring it to the Access worship space on the Sunday after it's made. Our Access congregation will pray for the recipient and tie knots in the fringe. After the worship service you can pick up the blanket and deliver it. This Sunday will conclude our Games We Play series of sermons with "Solitaire vs. Spades." It's all about why the Bible pushes us towards others and some practical ways we can respond. Prayer blankets are a great way to connect with people, and on Sunday we'll share some other ways too.